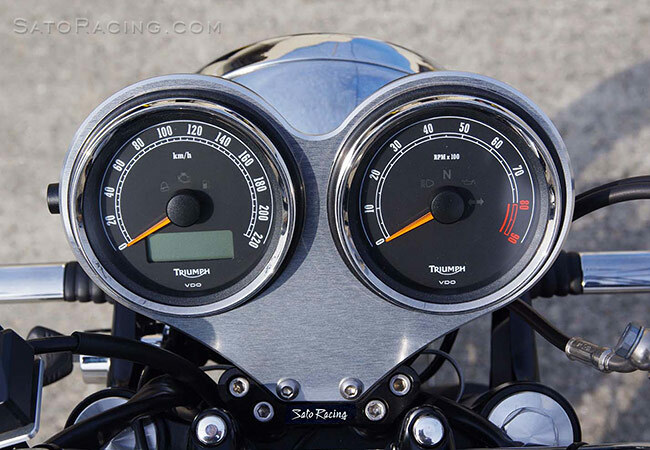 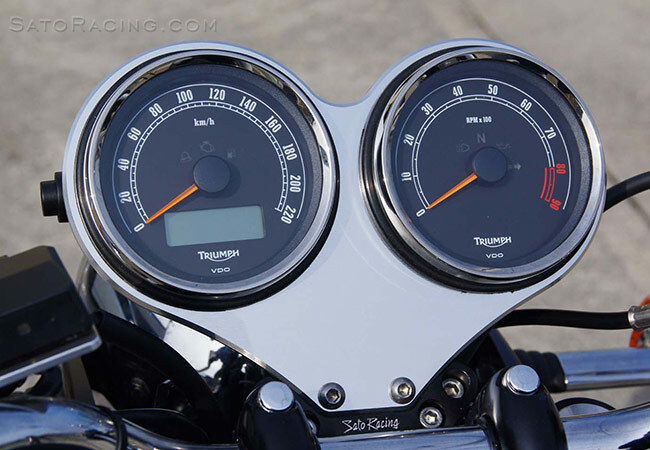 SATO RACING Gauge Panel for 2010-15 Triumph Bonneville SE and T100 has a clean, race-inspired design that does away with the indicator lights of the stock instrument panel. 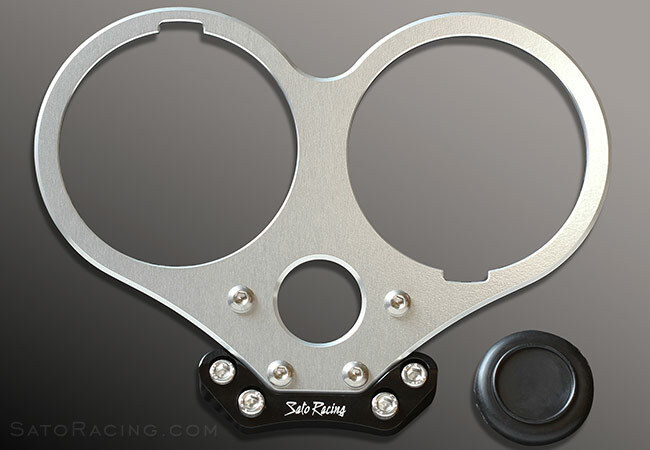 Made of high grade billet aluminum anodized in a Black or Silver (clear metal) finish. 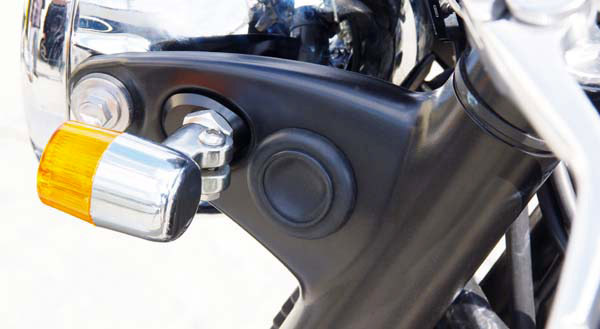 Choose from 2 types: With or without an integrated center-mounted keyhole. 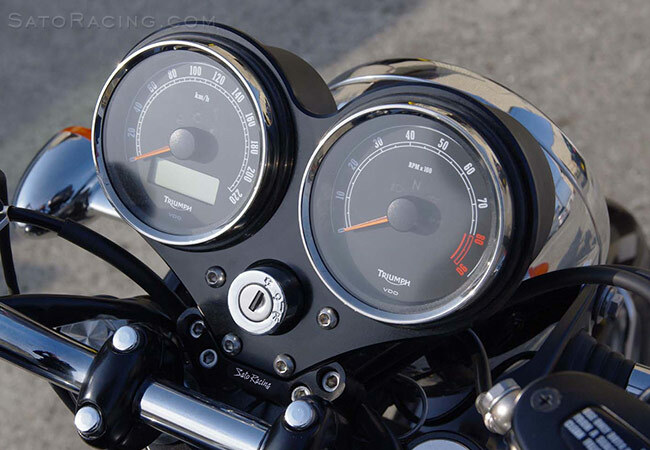 Gauge Panel w/ Keyhole lets you move the ignition to the center. 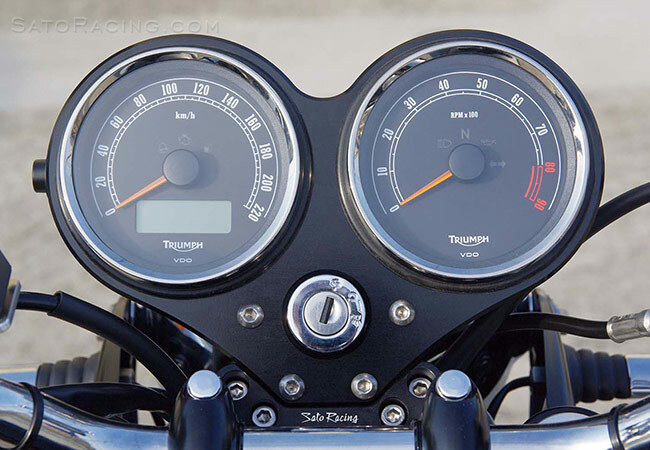 Gauge Panel w/ Keyhole includes a rubber grommet to cover the stock keyhole opening.